Daily helicopter patrols will search Perth's beaches for sharks during this summer. Queen's Birthday Honours List announced for 2008. 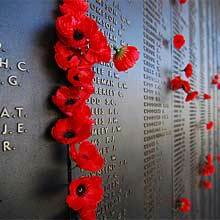 ANZAC Day – 25 April - is a time to remember. New research indicates that Australia's koala population may be in danger as climate change effects eucalyptus and other leaf-eating animals. Australia has nearly 11,000 beaches! Australia is the world's only island-continent and has almost 11,000 beaches. In Australia's Northern Territory a man has saved his wife from the jaws of a crocodile by jumping on the creature's back.